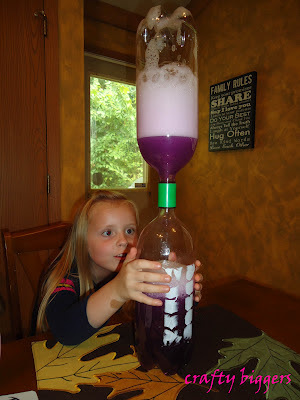 My girls love science experiments and I love watching them figure things out. You can almost see the gears turning as they watch. A few days ago I ordered a Tornado Tube because I thought that the girls would get a kick out of it. We had tornado warnings and tornado sirens in the middle of the night last night so I thought that today was the perfect time to test it out. glitter was also an option but I didn't feel like looking for any. Start by filling one of the bottles about 2/3 the way full. 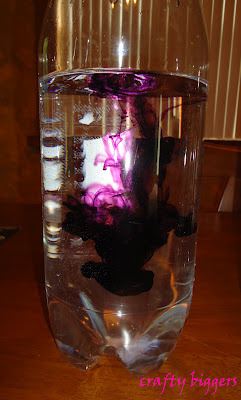 You can stop here and start the experiment but we wanted to make it more visible and a little fun so we added a drop of dish soap and some it was supposed to be pink purple food coloring. 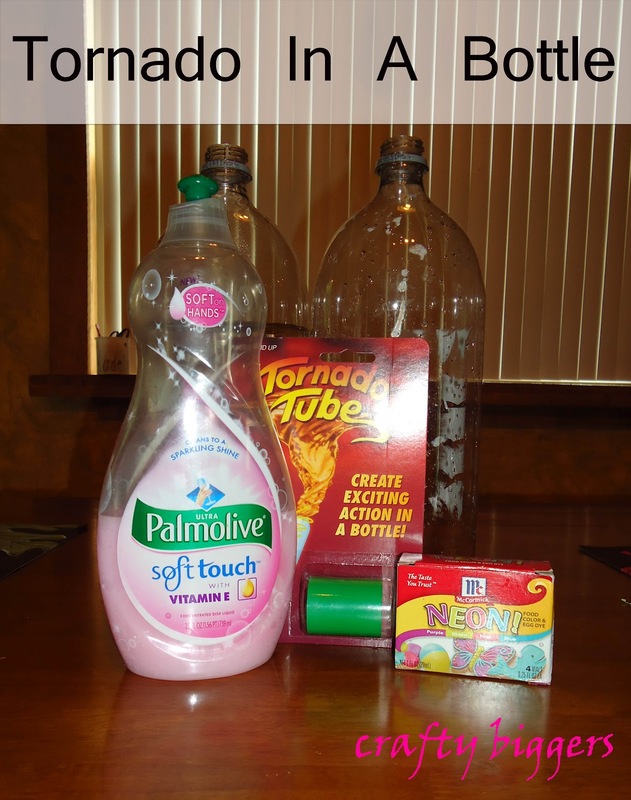 Once you have the first bottle filled with whatever you want screw on the Tornado Tube then the second bottle. Here's how it works. Tip it over so that the water is in the top bottle the swirl the water in a circular motion then watch the action. Here's Maddie watching the Tornado in awe. 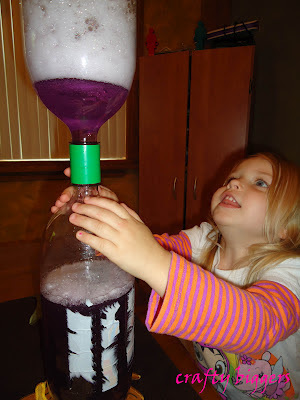 I love that this experiment was easy enough for them to help with the setup and with making the 'Tornados'. Here's Abby taking her turn making it happen. 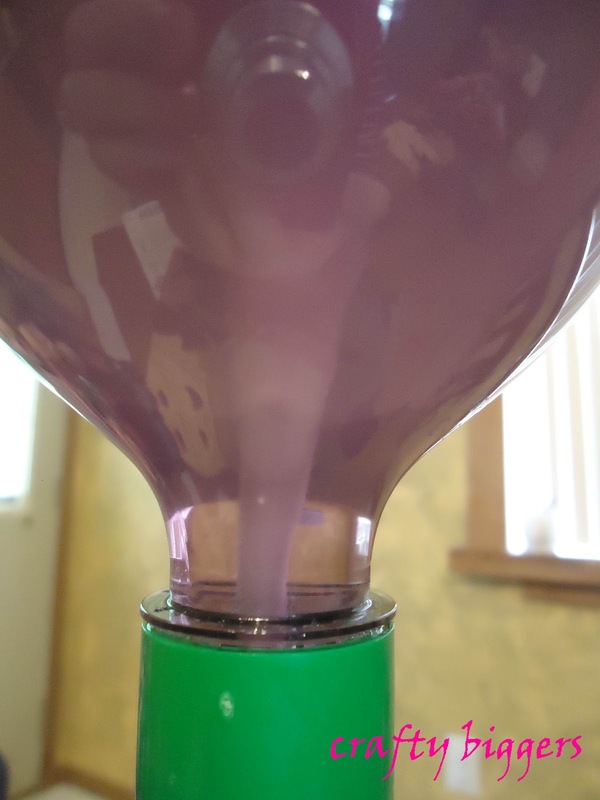 I put a little too much dish soap in so after a few shakes I had to unscrew the top bottle and dump out the extra bubbles. This kept the girls entertained for about an hour and everything is reusable. Next time I may hunt down that glitter so the cyclone is easier to see. This is the best I could get as a close up of the action. Hope you get a chance to try this out with your little ones as well. It was a fun little experiment for a raining Saturday afternoon. such fun! Have a great week. PS No doubt you have been busy but it would be great if you followed Carole's Chatter back.